This is the twenty second edition of our new look BANT News we hope you enjoy it. We are delighted to inform you that BANT’s Annual General Meeting will take place on Saturday March 14th 2015 at the Cavendish Conference Centre, 22 Duchess Mews, London W1G 9DT from 9.30am. 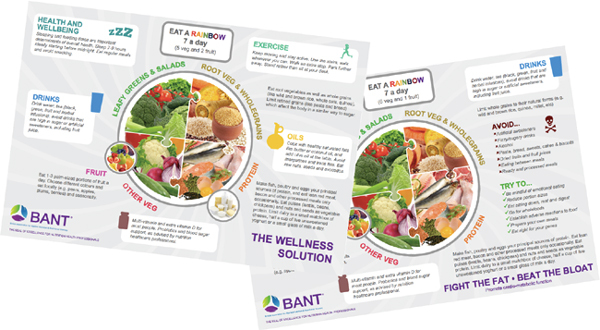 Following the publication of the Association for Nutrition 2014 report, BANT can confirm that it met with AfN in 2013. The two organisations agreed to compare respective registration requirements and to look at how AfN and BANT might dual accredit clinical training modules that AfN wants to put in place for its new clinical healthcare specialism. This work is presently on-hold but BANT looks forward to helping AfN in the future.